Komodo National Park scuba diving is the world-class scuba diving located in the East Nusa Tenggara Indonesia. There you can find a great variety of fishes, superb and untouched coral reef. The big fishes hunting action and pelagic fishes in every dive site will make greatly memorable dives. In the other sites, you will also able to see Blacktip and Whitetip Reef Shark. Also if you are lucky, you will find Hammerhead Shark and the grey shark. Manta Rey and many kinds of fishes are also found here. The Komodo Diving package also inclusive with the dragon adventure on Rinca island or Komodo island. Manta Allay or Manta Point is the famous spot for Manta Rays, more than 100 species found here. 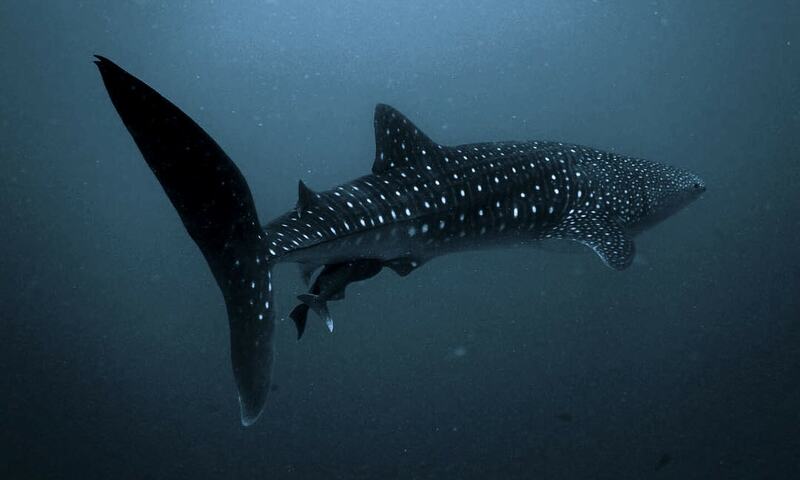 The other marine life also found here, such as Marble rays, Bamboo Sharks, eagle rays and many more. You do not have to be missed to take a dive on this spot. Batu Bolong is the small rock stay between Komodo island and Tatawa. It is the most famous Komodo National Park diving spot and the world-class dive site. Usually, the dive plan is jumping to protect from the current. You will descend along the steep slope covered in hard corals. Here you can find white tip reef shark, turtles, giant trevally, Napoleon wrasse and many more. Castle Rock is a huge pinnacle with a top 4 meter deep. The visibility as very good. Here you can see the grey reef shark, Manta rays, dolphins, and schools of tuna. Tatawa Besar is located on the Northwest Tatawa island and Komodo island. It is an easy drift in the shallow water. Here you can find angelfish, cuttlefish, manta rays, eagle ray, turtles. The reef is very good here and finds many orange soft corals. The Cauldron, this is an excellent drift. The entry point to this site is Gili Lawa Laut island, about 100m from North of the channel. Here you will able to see large red snappers, white tip reef sharks, turtles, and manta rays. Click here to see more Komodo National scuba diving sites. We are working with the recommended Dive Centre in Labuan Bajo. The Komodo scuba diving condition is very strong currents. So it is very recommended for the professional divers. However, there are some dive spots for beginners found. But you may not able to see big fishes swim into the current. The current sometimes can reach 8knots in some of the dive sites. So, choose your dive site carefully or follow the recommended dive sites by your dive master. Sometimes the dive master cancels the visiting in some dive sites due to the safety reason. So you are asking to follow the instruction. From January to March, the sea is a bit rough. You are very recommended to find the best dive center. Otherwise, you may book through our site for the recommended dive center in Labuan Bajo.